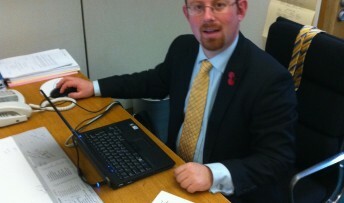 MP Julian Huppert, who has been working to highlight the failings of the UK Border Agency, has welcomed the news that it is to be scrapped for its poor performance. Julian, a member of the Parliamentary Home Affairs Select Committee which released a damning report on the agency’s under-performance and incorrect figures on the backlog of asylum cases, said the decision was “long overdue”. “The UKBA’s atrocious performance has been allowed to go on for far too long,” he said. “For years we have been given incorrect figures on asylum cases and people are waiting up to 10 years for their cases to be heard. “I regularly have people coming to my surgery and contacting my office to say they are in limbo waiting for the UKBA to act on their case. At the same time, we have highly skilled and talented people, who we need for this country, waiting months to get visas to enter. And we have families claiming political asylum unable to get on with their lives because they have been languishing for years without a decision. “This lack of control and total inefficiency is disastrous for those people caught in the system and totally unacceptable for the country. It strangles businesses, stifles science, research and education, as well as the damaging effects it has on our economy and reputation as a whole. “I hope now that we can get a grip on this situation and sort out this whole affair quickly and efficiently so that people can get their cases resolved and we can see some faith restored in our immigration system. The public deserve an organisation that lets the right people in, and stops the wrong people coming in. UKBA has failed both these tasks. Julian raised the issue on Monday (March 25) in the House of Commons when Immigration Minister, Mark Harper acknowledged that the UKBA’s figures were “not good”. Julian told him that only 18 per cent of applications for Tier 1 visas – those relating to applicants with exceptional talent, entrepreneurs and highly skilled workers – were processed within four weeks. “Does he agree that we cannot have a coherent, fair and credible immigration system when the agency is performing so atrociously?” he said. Mr Harper said that by the end of this month, the UKBA would be making decisions on Tier 1 visas and others “within the service standards that it sets out to customers, and which they have a right to expect”. And yesterday Home Secretary, Theresa May announced that the UKBA would be scrapped and the foreign visa system and immigration law enforcement brought back into the Home Office as two separate organisations.